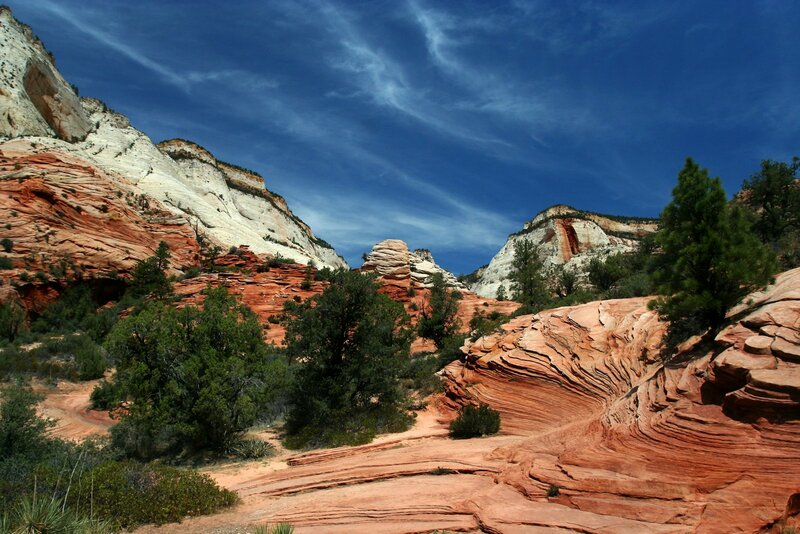 Desert Varnish is the red to black coating we see on rocks laying around in the desert. Rock Varnish is the same thing only renamed because of where they are found. 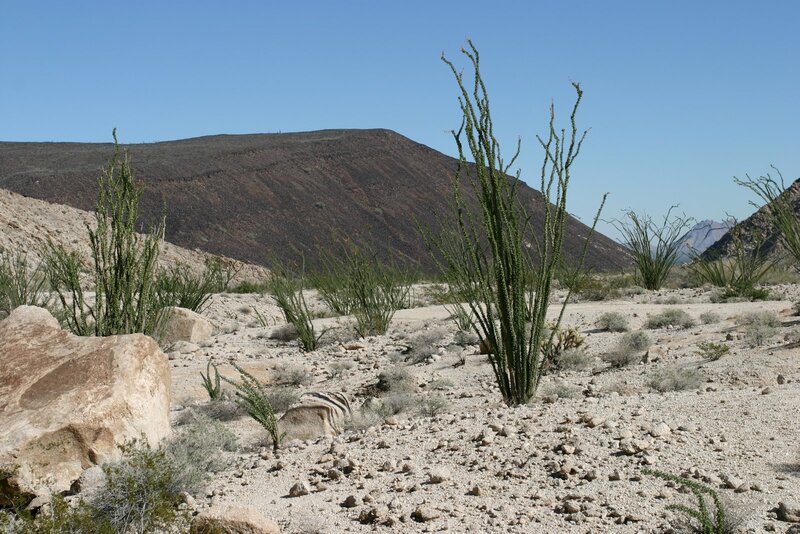 in not so arid places - like the South Pole or Alaska, which are not desert areas. The "varnish" appears on rocks in a lot of locations, not just deserts. But we'll just look at the ones found in the desert. Desert Varnish doesn't usually form on granite rocks but is more likely to form on sandstone rocks. 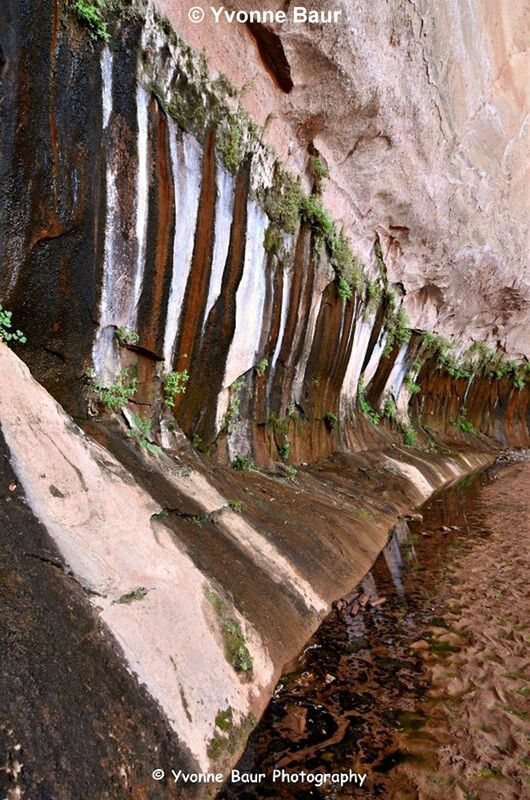 Desert Varnish is most commonly found on rocks and walls facing north or east. Although the process for depositing the Manganese and Iron on the rocks is not the same in all locations and is not completely understood, it does take a considerable amount of time for the coating to appear, thousands of years. And this coating is paper thin. Here's 3 great examples of desert varnish. Not always found near any water and often just in the open desert. Scientist's are not sure how the "desert varnish" is deposited on the rock surface. They do know what it consists of, and that fungi, clay and water may in some instances help with this process that takes thousands of years to accomplish. Here's a couple of things to contemplate: 1. Wind is not considered to be of any help with this process. 2. Water is a contributing factor, along with the minerals mentioned above. Here's a layman's view. There are two major elements that can mess up your drinking water: Iron and Manganese. So they must be water soluble to a certain extent. And iron and manganese both stain your sinks and bathroom fixtures and it doesn't take them long to do this. We know after living in quite a few places that had problems with iron and manganese deposits. 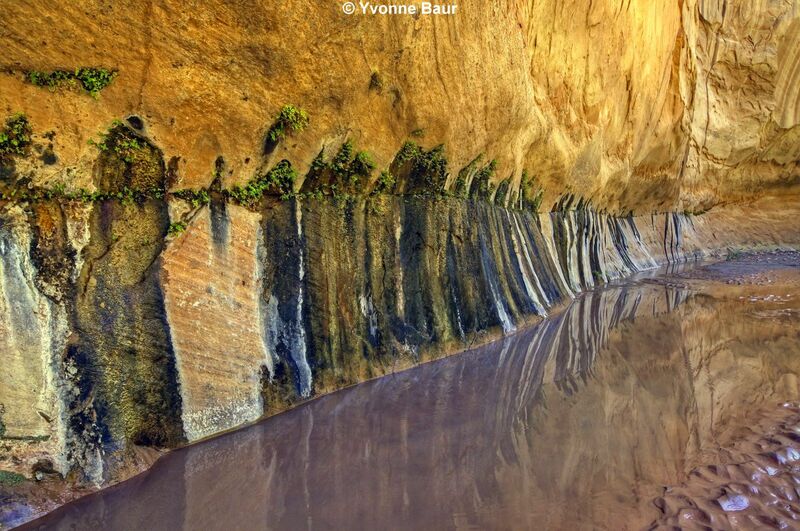 So in the 3 photos above -- to me this should be called water stained rock and not "desert varnish" And if this is the case, then when would you say "these rocks are stained with desert varnish". Let's look at a few more examples. In the arid desert you'll find areas with relatively flat surfaces where all the rocks have a dark "desert varnish" on them. Turn them over and you'll see the true coloration of the native rocks. And at times you'll find mountains (like the one pictured here) where all the rock has "desert varnish". And yet the surrounding area is devoid of this phenomenon. Don't confuse areas like this as ones that have iron "desert varnish" on the rock. 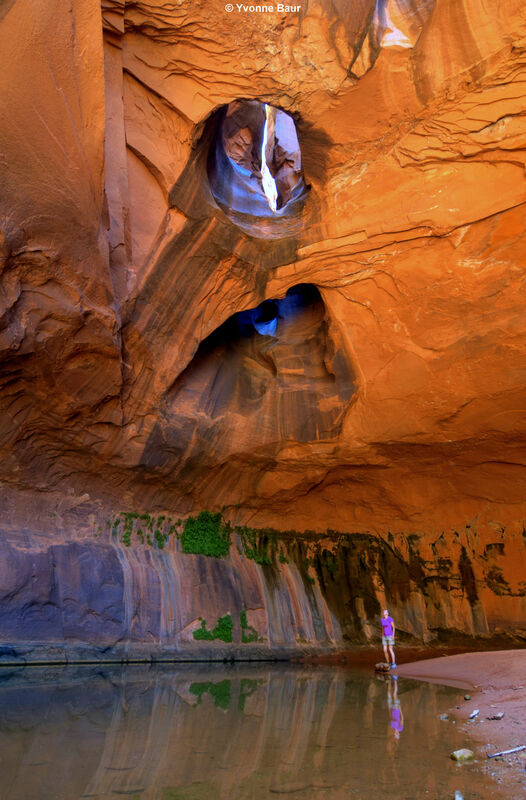 If you were to break the red sandstone rock in this area you'd see that the rock is red all the way through (caused by iron in the rock) and is not just a paper thin coating.. There are areas with instances of iron oxide "desert varnish" on rocks -- see the video below. 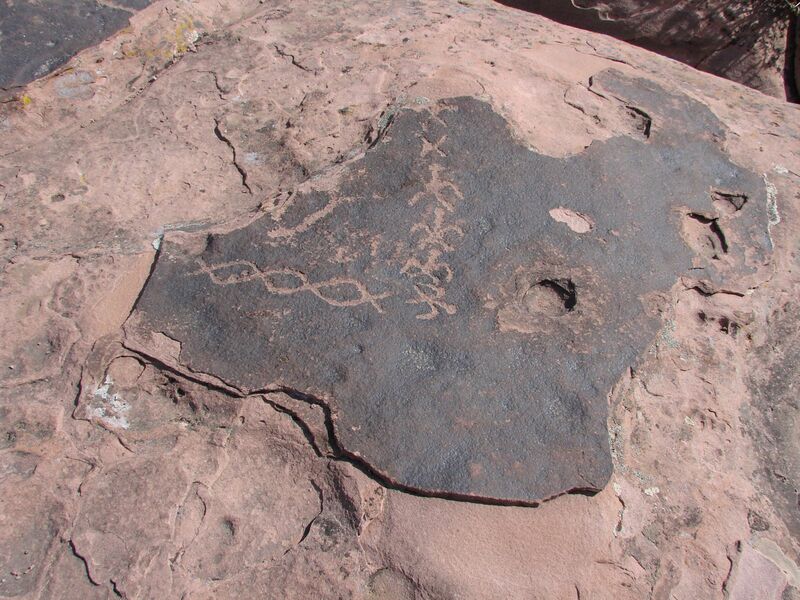 Native Americans, (Anasazi comes to mind), used rock surfaces to make petroglyphs. "Desert varnish" makes for an excellent chalk board. A dark surface with a lighter background is excellent for this kind of picture making. As you can see in the photo to the left, they chose the darkest part of the "desert varnish" for their pictures. Just above the dark band is a band of Iron Oxide Varnish. Pretty smart and is shows good common sense. Here's another example that was found on a flat surface facing upward. Usually they are found on walls. You can also see where idiots have taken parts of the petroglyphs and chipped them off the rock. Probably trying to save them as souvenirs, but they probably just broke them up. What a waste. And parts of these told a story. For example there is fish in this small lake. See the fish at the bottom of the petroglyph? You really need to look at this one in the larger size. 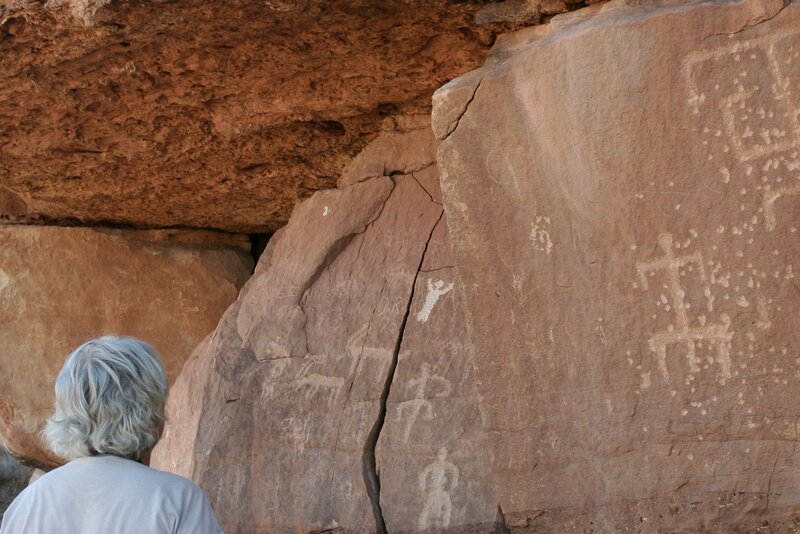 Linda is looking at the sheep in the petroglyphs and you'll also notice a really white "man with his hands up" just above the sheep. 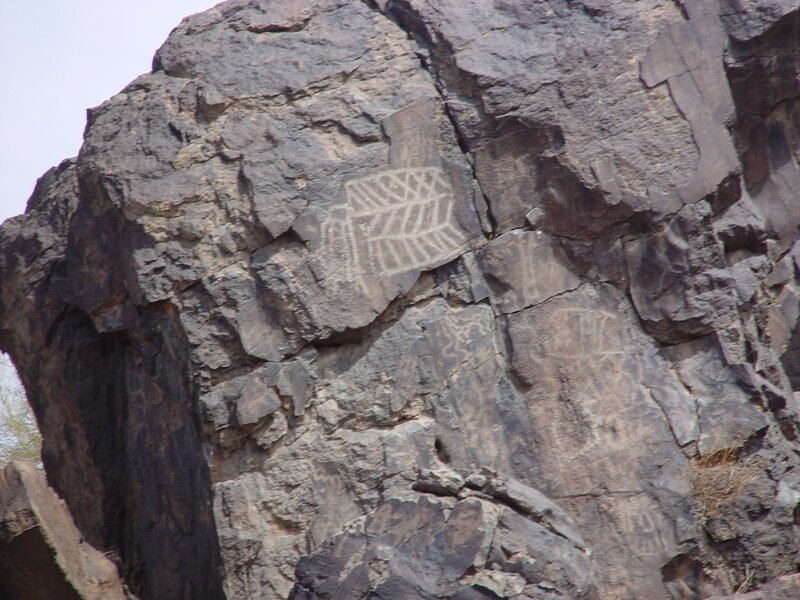 This was done very recently and is not a true petroglyph but is just modern graffiti. Also in the enlargement you can see some idiots initials. Now look at the next photo. 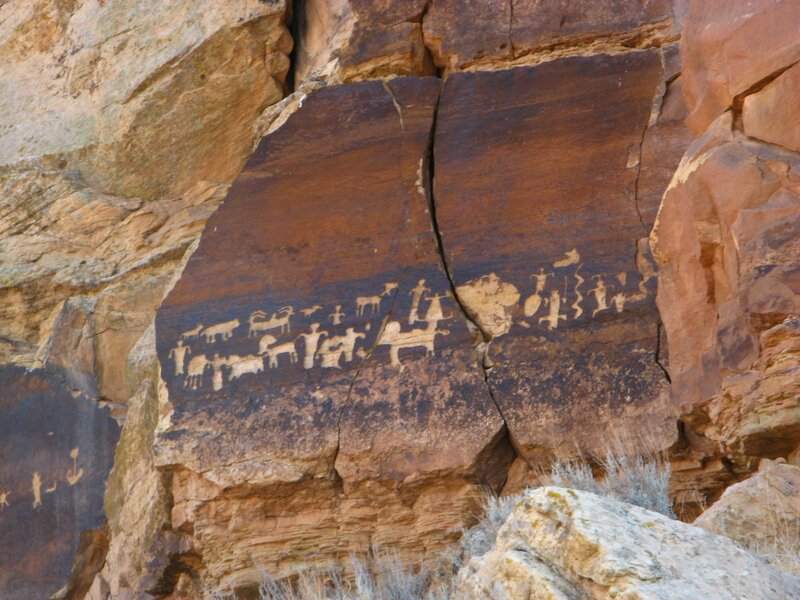 These were petroglyphs that were done at different times. You can tell the differences in the age of petroglyphs by the colorations. Look at the enlargement and you'll be able to see some of the markings that are very faint. This tells me that they were probably there a long time and the "desert varnish" is slowly putting a thin layer of varnish over the markings of the petroglyphs. While the one that stands out is the most recent, although probably very old. This was at a hidden water supply in a very arid section of the desert. Many times while turning over rocks you may be sruprised by what's under the rock (watch for snakes) and also by how different the original rocks coloration is. Desert Varnish has been at work for thousands of years changing the looks of the desert we love.